Between July 1, 2017 and June 30, 2018, MSCFV served 461 victims of family violence and their 670 children, twenty percent whom were from Talbot County. The United Fund of Talbot County provides financial support so a Case Manger can work with victims in Talbot County. This Case Manager works with a Talbot County client to help the client address immediate crisis needs by providing crisis counseling, safety planning, information & referral, emergency shelter and accompaniment to protective order hearings. Next they assist the client’s movement to the Transition Stage by helping clients access MSCFV’s Economic Empowerment Center, Mental Health Therapy, Support Groups and Short and Long-term Housing services. And finally, the Case Manager’s job culminates when the client has reached self-sufficiency, clearly communicating the path from “Where you were…Where you are…Where you are going”. Measuring client outcomes is an important part of MSCFV’s program. Through client surveys and advocate assessments, the agency monitors if the services they provide are helping family violence victims plan for their safety, understand their rights and options, and take the next step in ending the violence in their lives. Hotline calls are another important crisis service, providing victims with support and actionable information about MSCFV resources, their legal rights, and possible next steps for ending the violence. During these calls, most clients received assistance with safety planning. 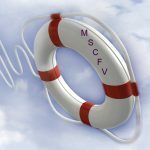 information about MSCFV resources, and advice on their legal rights and options. The vast majority of victims achieve positive outcomes in these calls, including a better understanding of the cycle of violence, a better understanding of their rights and options, and a readiness to take the next step in ending the violence. There are also positive outcomes in MSCFV’s Economic Empowerment Center program. When comparing the Ability to Meet Basic Needs scale at program exit to the one clients completed on program entry, 90% showed improvement in their family’s financial situation. They were able to meet basic expenses, save, meet unexpected expenses, improve their standard of living and decrease financial worry.